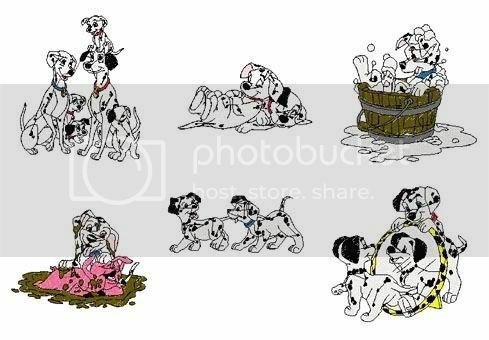 This is a Gorgeous collection of 35 - 101 DALMATIONS Machine Embroidery Designs on CD. This collection includes 35 Designs. All designs fit the 4x4 hoop.